Homepage Empowerment Our Mentor & Mentee Meet-n-Greet was SPECTACULAR!! 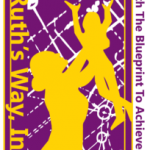 Ruth’s Way is looking for an Intern! State Representative Ed Gaineys office presents: Their 2nd annual Scholarship Summit TOMORROW!!! !